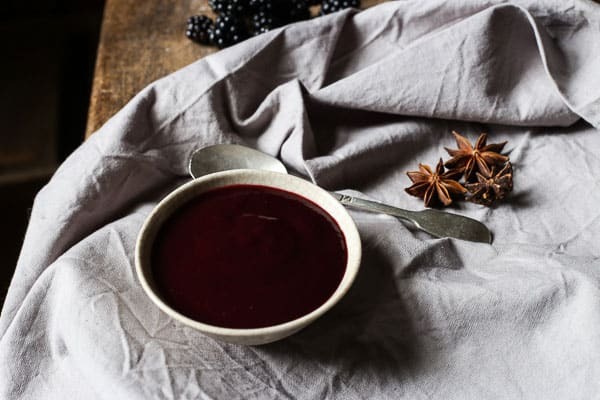 This Blackberry Hoisin Sauce is beautifully sweet and tangy with so many layers of flavour and gluten-free to boot. Hoisin sauce is one of those mystery condiments where you are not totally sure what’s in it but you know it tastes good dolloped into your duck pancakes. One thing for sure is that most commercially made hoisin sauce contains wheat meaning it’s no good for me. 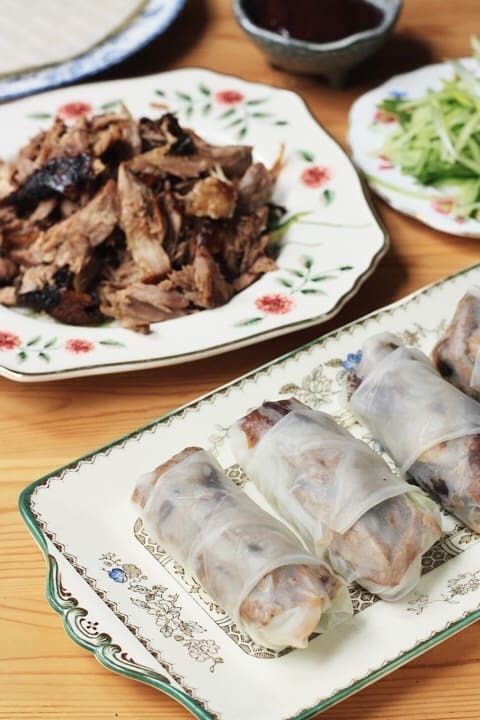 I began making my own so I could still enjoy dishes like these amazing Crispy Duck Summer Rolls, one of my favourite recipes from the blog and to use in my stir-fries. 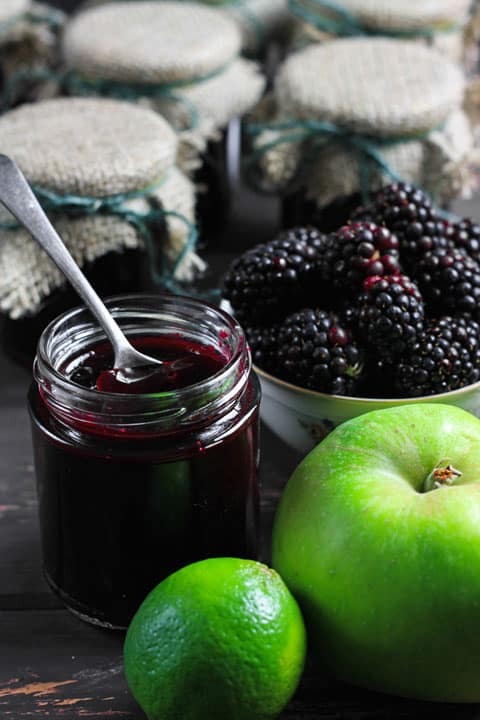 This year though as part of my huge blackberry haul I decided to make my Hoisin Sauce with blackberries instead of plums or damsons. The result has been astounding. Luke claims it’s the best preserve we’ve ever made and he’s right it’s definitely up there. The complex layers of flavour in this sauce are obscene. 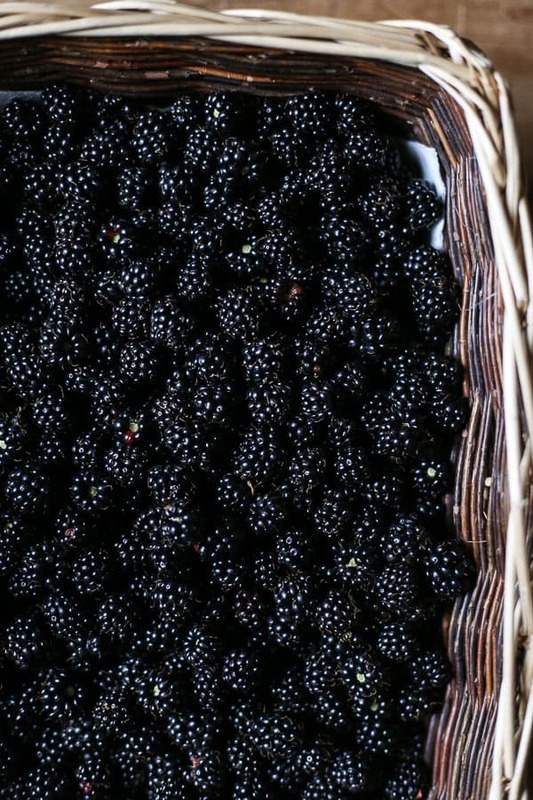 The sweet tanginess of blackberries, the richness of the prunes, fresh heat from ginger and chilli and plenty of spice. I love making ketchup and sauces for preserving, it’s one of the most satisfying jobs and so easy. 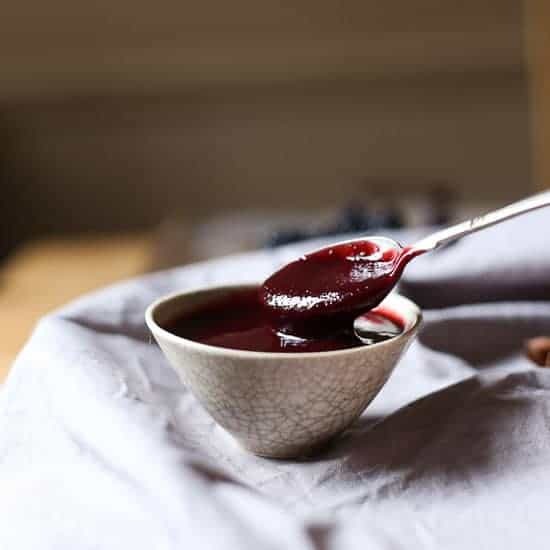 For Blackberry Hoisin Sauce the ingredients are brought to the boil in a large pan, blended and sieved to achieve the perfect consistency then just placed back in the pan with the sugar and tamari (a gluten-free version of soy sauce. 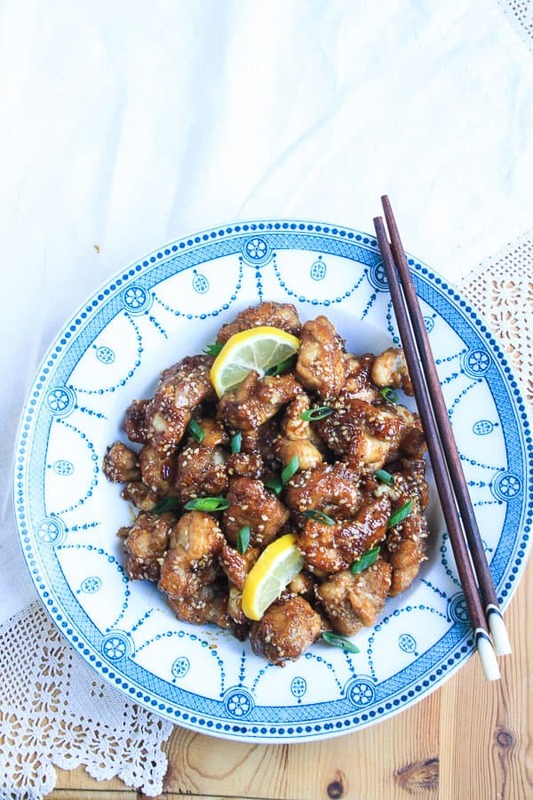 You can also use coconut aminos or if you are not gluten-free then soy sauce is fine), cooked until thick and luscious then bottled. It’s 1-2 hours work and worth every minute as the jars will last you all year and then some. 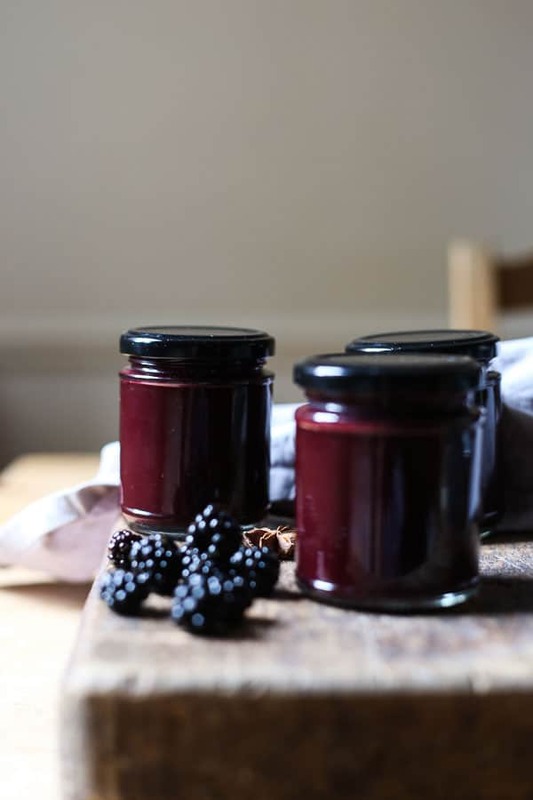 Homemade Blackberry Hoisin Sauce is an excellent gift so you’re also sorted for a few Christmas presents, it’s nice to check things off early. 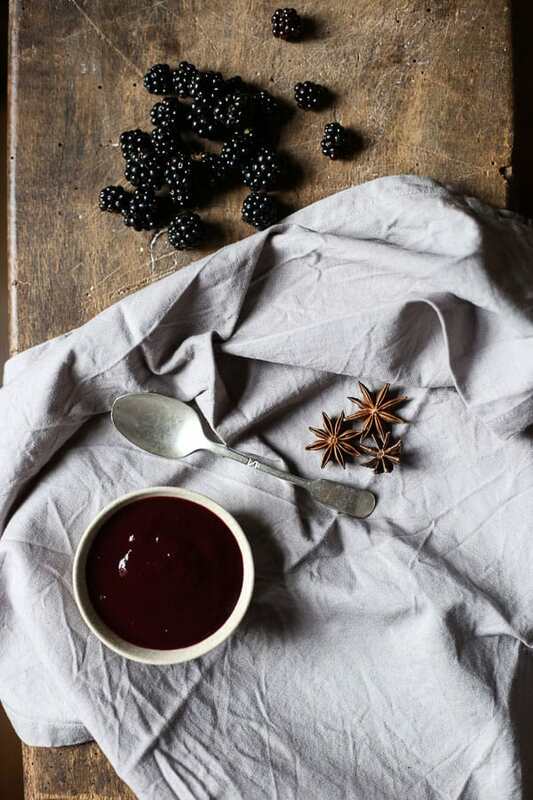 We’ve been playing fast and loose with our Blackberry Hoisin Sauce and eating it with everything. When Luke went to spread some on his sausage sandwich instead of ketchup at the weekend I was a little taken aback but I needn’t have been concerned, it was amazing. 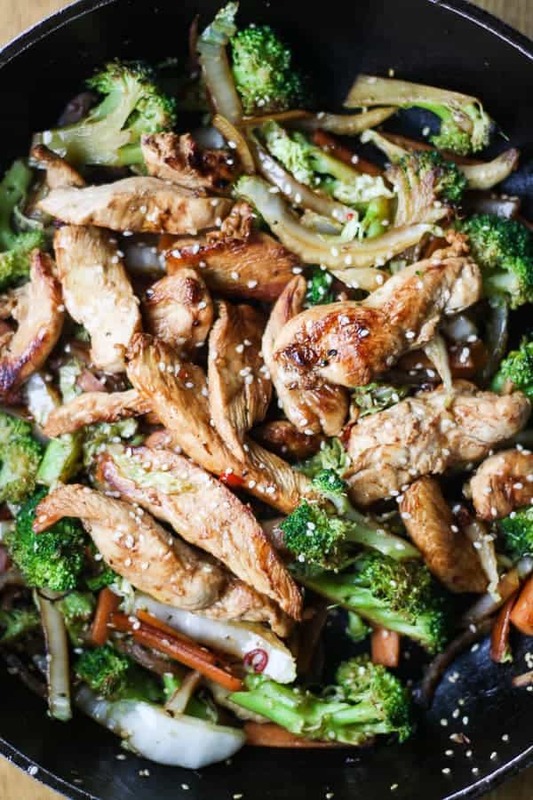 Obviously you can use it in stir-fries, with your duck pancakes, in chinese salad dressings, as a marinade for chicken wings, barbecued meat. Practically anything. This will be the most used condiment in your kitchen in no time. 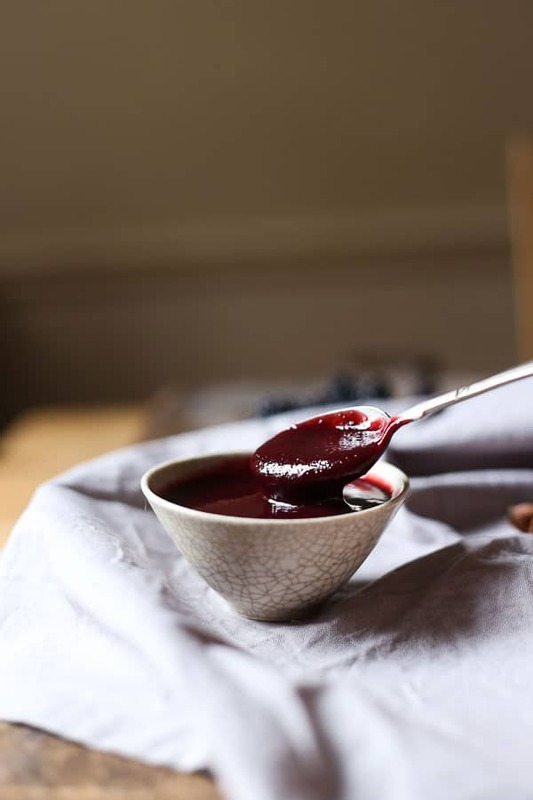 Blackberry Hoisin Sauce is beautifully sweet and tangy with so many layers of flavour and gluten-free to boot. 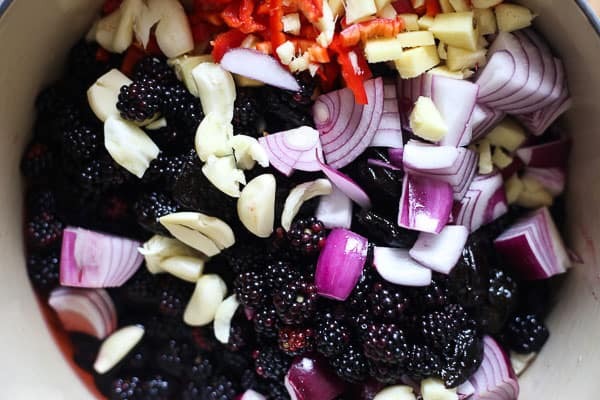 Add blackberries, prunes, onions, garlic, ginger, chillies, vinegar to a large preserving pan. Bring to the boil, then turn down the heat gently to simmer for 20 minutes. Remove from the heat then add the spices and rest the sauce for 5 minutes. Blend the sauce in batches then sieve to achieve a beautifully smooth consistency. 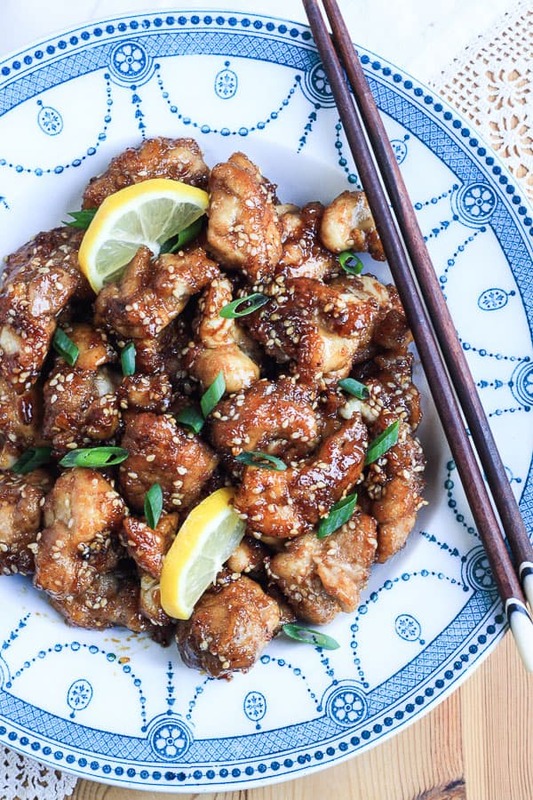 Pour the sauce back in preserving pan and add the brown sugar and tamari. Bring the sauce back to the boil until the sugar has dissolved then simmer for 15 minutes to thicken. Remove from the heat. Rest for 5 minutes then decant into sterilised jars*. The sauce will keep for about 6 months if stored somewhere dark and cool. 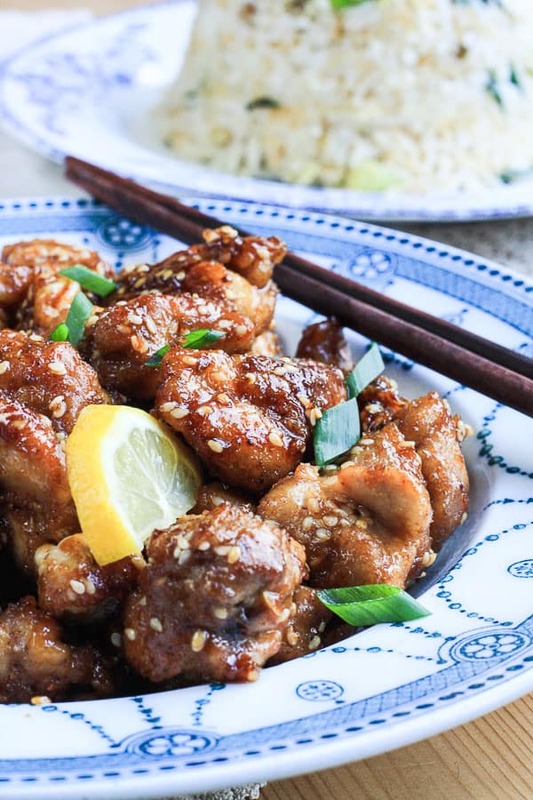 My first memory of going out to a restaurant was to a local Chinese restaurant with the whole family. I don’t know how old I was but I was young and have vague memories of being in an opulent royal blue room, presumably in a section reserved for large parties, with no windows and one large table in the centre. The table was resplendent with sweet and sour pork balls, chicken chow mein, spare ribs, crispy chilli beef and prawn crackers. 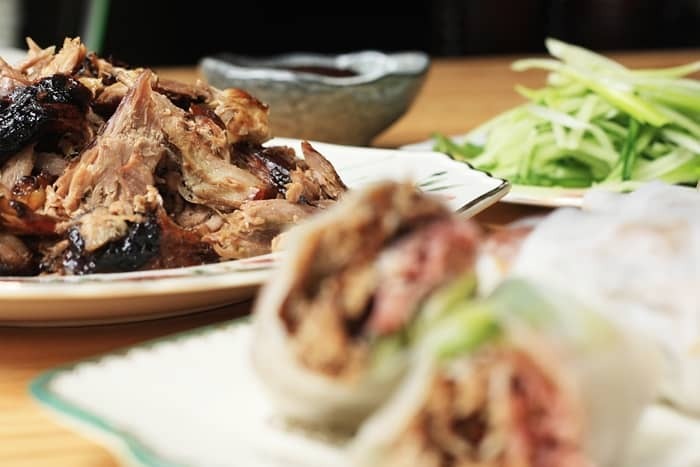 However, at the epicentre of the table in pride of place was the Peking duck, glistening red, surrounded by its courtiers of spring onion, cucumber, hoisin sauce and wafer thin pancakes encased in a bamboo basket. We sat transfixed as the waiting staff shredded the steaming duck with forks, tearing off crisp skin and juicy meat. The wait would be too much to bear for us young’uns as we leaned across the table, grabbing a meaty morsel between our fingertips and popping it into our mouths in one swift move. Eating out at restaurants was a great privilege throughout my childhood and teenage years, reserved solely for family get togethers. In our little family unit we had our own smaller traditions and whenever we have a Chinese now my mum reminds me of our sacred Saturday night Chinese takeaways. The food was exotic and familiar at the same time, reserved only for that one night a week, it was a treat looked forward to and savoured. There was only one takeaway in the town I grew up in, which is still open to this day, although different owners I suppose. My sister and I would traipse into the high street with Dad and make our order at their tall wooden counter that we could barely see over, then we would nip to the Co-op next door where we would be allowed a choice of chocolate bar for pudding and Dad would choose a bottle of wine for him and Mum. Mum thinks we’re spoilt living in London with such a plethora of Chinese takeaways at our doorstep, all of them deliver, take card over the phone and are open until late. If I go out into the hallway now I will probably find an errant menu on the doormat which I haven’t yet thrown out. However, for all the choice, I find it difficult to remember the last time I actually had a Chinese takeaway. The food never tastes fresh anymore and leaves me gasping for rivers of water. Am I more intolerant to MSG these days? Is it just North London Chineses? Or, am I treasuring a memory over food that wasn’t that great in the first place? There is one thing I know for sure though, I am now a sucker for the fresh vibrancy of Vietnamese food. 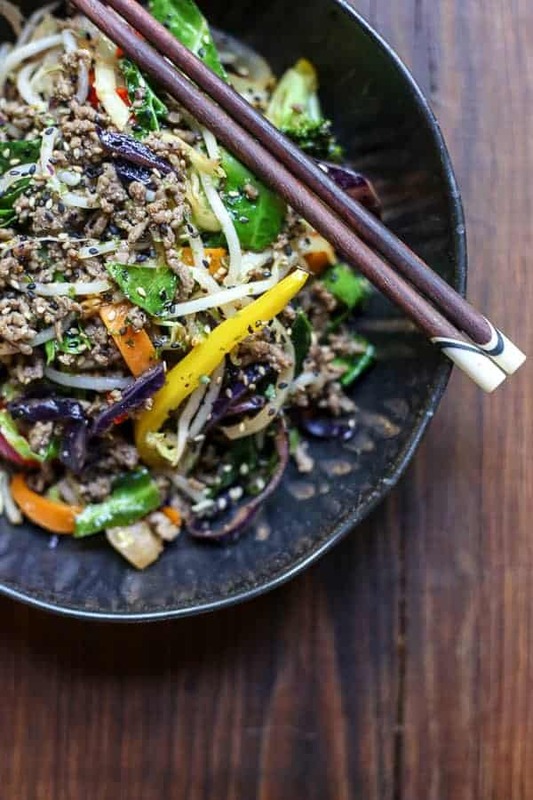 There is no better Friday night treat then when my husband comes home after a sneaky beer, buoyed up on the thought of the weekend lying ahead to pronounce that he’s taking me out to Kingsland Road for a cheap and cheerful Vietnamese feast. 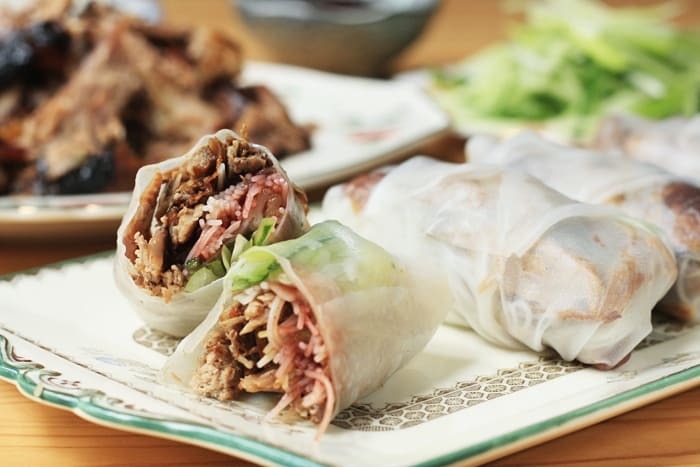 It doesn’t seem odd at all to marry up the traditional Vietnamese summer rolls with the flavours of my most favourite Chinese dish, Peking duck. Although experts in either area would probably be disgusted by yet another British hash of international cuisine. 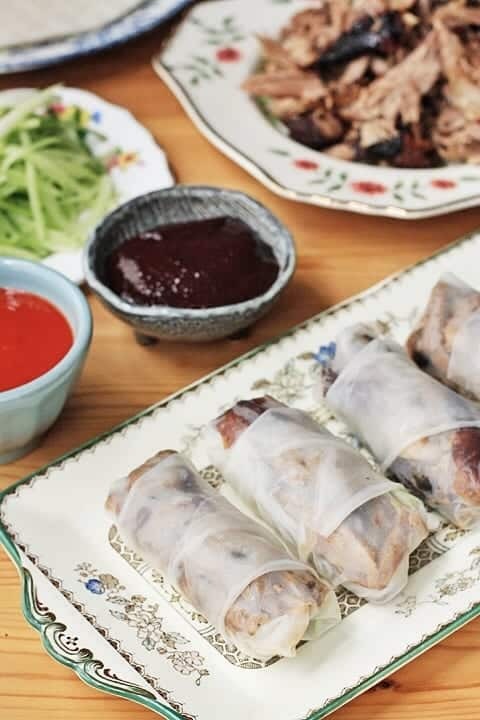 This combination works so well, and combines the tastiest dish on the Chinese table with the freshness of Vietnamese summer rolls. I have eaten them by the bucketload this week but by far the best way was when we formed a production line in the kitchen and I was on rolling duty. Very few finished rolls made it onto the platter we had ready and waiting and formal ideas of a table supper were soon abandoned. 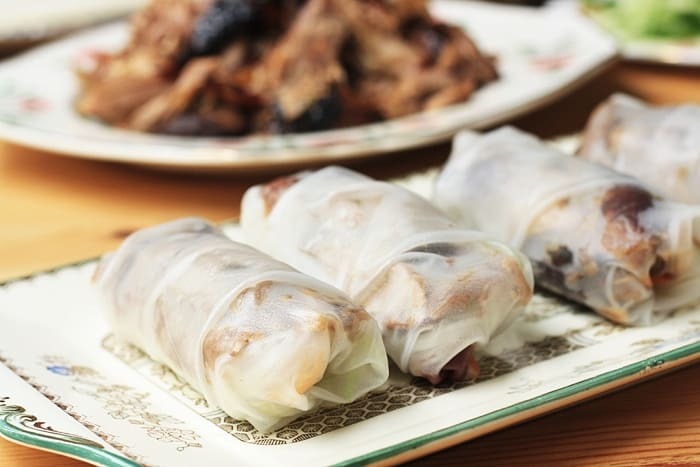 That night we ate standing up at the kitchen counter squabbling over whose summer rolls tasted the best. 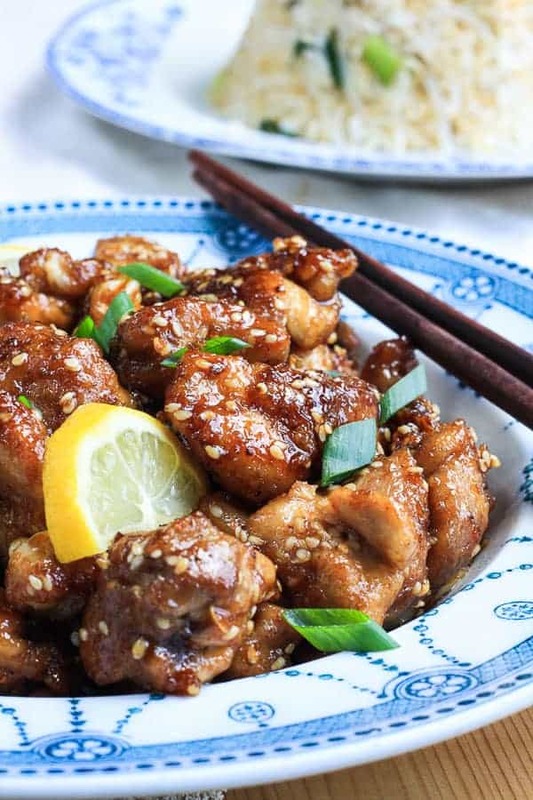 Obviously mine, with a handful of duck, equal amounts of sweet crisp skin and plump meat, a sprinkling of rice vermicelli, a touch of sriracha and a good drizzle of my homemade Chinese damson sauce, finally topped with a few good strands of spring onion and cucumber. I’m still that impatient child who can’t wait for her duck to be finished shredding before she dives straight in, as my husband can testify. 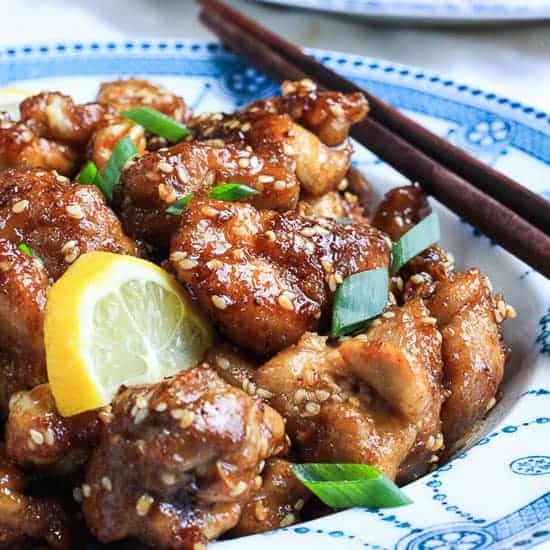 Place the duck legs in a large saucepan with the 5-spice, soy sauce and garlic. Cover with water and bring to the boil. Turn down and simmer for 2½ hours. Meanwhile pre-heat the oven to 200°C. When the duck legs are ready, remove them from the cooking liquid and pat them dry with kitchen paper. Place them on a baking tray, skin side up. 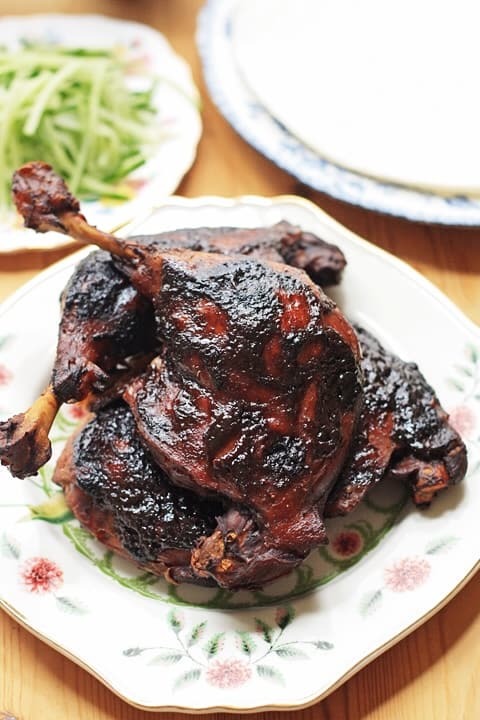 Mix the hoisin sauce with a little olive oil then spread equally over the duck legs. Place in the oven and roast for about 20 minutes. Remove from the oven when the duck skin is crisp and pull the meat off the legs using 2 forks to shred. Set aside whilst you prepare the rest of the ingredients. Cook the rice vermicelli by plunging into a pan of boiling water. Turn off the heat and let the noodles sit in the hot water for about 3-4 minutes until soft. Drain and set aside. The rice papers should be prepared by dunking each one individually in warm water for 20-30 seconds until the paper feels pliable and has lost its brittleness. 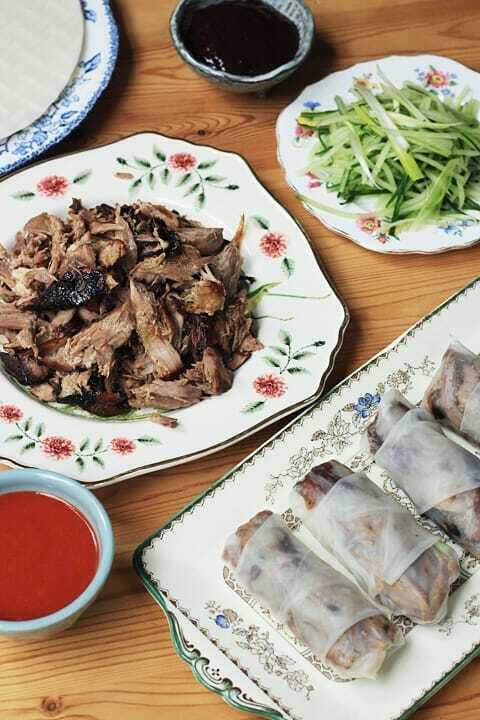 Assemble the summer rolls by placing little handful of duck two thirds of the way up the softened rice paper, add the rice vermicelli, a little sriracha and hoisin sauce and top with shredded cucumber and spring onions. Bring the sides of the paper inward over the filling and pinch tightly, then bring the top of the paper down over the filling and over the sides and roll towards you. Eat with abandon.